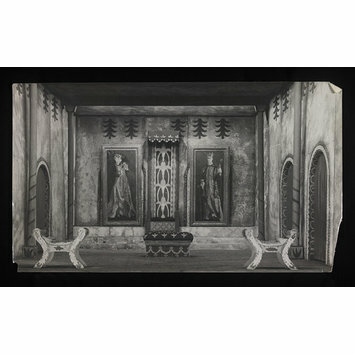 Photograph of the set from a production of Henry IV, written by Pirandello, ca. 1924. 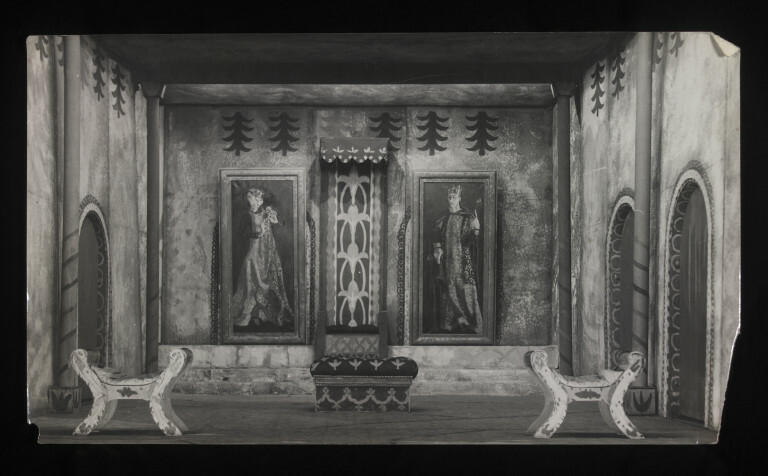 Photograph of the set from a production of Henry IV. The black and white photograph depicts the empty set with portraits of the King and Queen on either side of a throne chair. There are two stills downstage and various arches as entrances on the sides of the set.